Insider Monkey has processed numerous 13F filings of hedge funds and famous investors to create an extensive database of hedge fund holdings. The 13F filings show the hedge funds’ and investors’ positions as of the end of the third-quarter. You can find write-ups about an individual hedge fund’s trades on numerous financial news websites. However, in this article we will take a look at their collective moves and analyze what the smart money thinks of Southern Copper Corporation (NYSE:SCCO) based on that data. After an 80% surge in hedge fund ownership of Southern Copper Corporation (NYSE:SCCO) during Q2, there was a slight dip during Q3. Nonetheless, the stock’s popularity among hedge funds remains well above its average levels of the past three years. 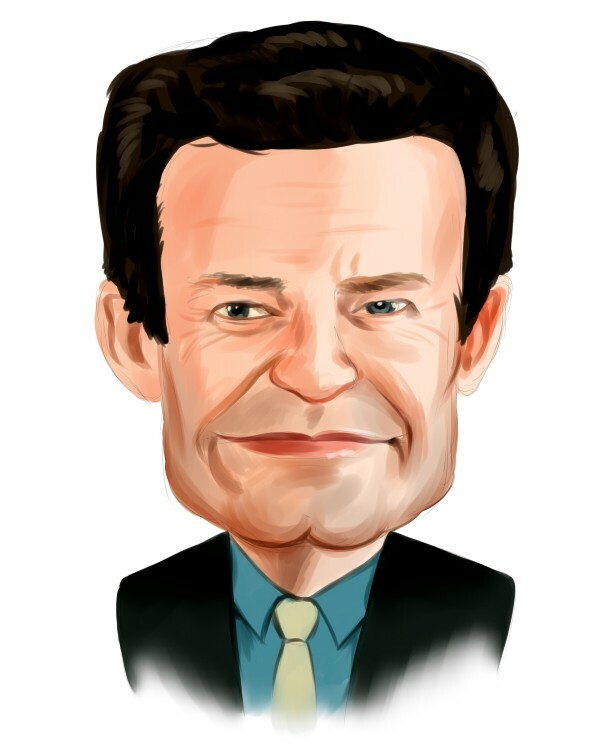 One of the investors to buy SCCO during Q2 was Fisher Investments and it remained one of 25 Dividend Stocks that Billionaire Ken Fisher is Bullish On throughout Q3, thanks to its 4.23% dividend yield. In today’s marketplace there are tons of indicators stock market investors can use to value stocks. A pair of the most innovative indicators are hedge fund and insider trading interest. Our experts have shown that, historically, those who follow the top picks of the elite money managers can beat the S&P 500 by a very impressive margin (see the details here). How are hedge funds trading Southern Copper Corporation (NYSE:SCCO)? At the end of the third quarter, a total of 17 of the hedge funds tracked by Insider Monkey were bullish on this stock, a dip of 6% from the second quarter of 2018. 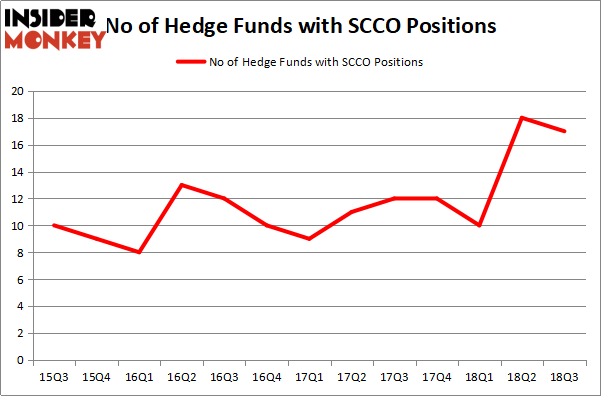 Below, you can check out the change in hedge fund sentiment towards SCCO over the last 13 quarters. So, let’s check out which hedge funds were among the top holders of the stock and which hedge funds were making big moves. Among these funds, Fisher Asset Management held the most valuable stake in Southern Copper Corporation (NYSE:SCCO), which was worth $198.3 million at the end of the third quarter. On the second spot was Capital Growth Management which amassed $40.8 million worth of shares. Moreover, Renaissance Technologies, AQR Capital Management, and Millennium Management were also bullish on Southern Copper Corporation (NYSE:SCCO), allocating a large percentage of their portfolios to this stock. Judging by the fact that Southern Copper Corporation (NYSE:SCCO) has experienced a decline in interest from the entirety of the hedge funds we track, it’s safe to say that there were a few fund managers that decided to sell off their entire stakes last quarter. It’s worth mentioning that Robert Bishop’s Impala Asset Management dropped the biggest stake of the “upper crust” of funds tracked by Insider Monkey, totaling close to $72.7 million in stock, and Jorge Paulo Lemann’s 3G Capital was right behind this move, as the fund cut about $9.4 million worth. These transactions are intriguing to say the least, as total hedge fund interest was cut by 1 fund last quarter. Let’s now review hedge fund activity in other stocks similar to Southern Copper Corporation (NYSE:SCCO). These stocks are The Williams Companies, Inc. (NYSE:WMB), eBay Inc. (NASDAQ:EBAY), Spotify Technology S.A. (NYSE:SPOT), and Johnson Controls International plc (NYSE:JCI). This group of stocks’ market values resemble SCCO’s market value. As you can see these stocks had an average of 43 hedge funds with bullish positions and the average amount invested in these stocks was $2.50 billion. That figure was $327 million in SCCO’s case. Spotify Technology S.A. (NYSE:SPOT) is the most popular stock in this table. On the other hand Johnson Controls International plc (NYSE:JCI) is the least popular one with only 16 bullish hedge fund positions. Southern Copper Corporation (NYSE:SCCO) is not the least popular stock in this group but hedge fund interest is still below average. This is a slightly negative signal and we’d rather spend our time researching stocks that hedge funds are piling on, like SPOT.